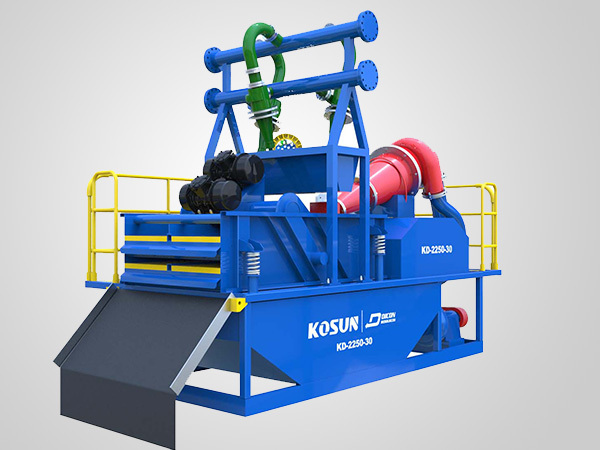 Slurry Separation System,Slurry Separation Units, Slurry Separation plants,Slurry Separation stations,Slurry treatment equipment,Slurry management equipment by Kosun. 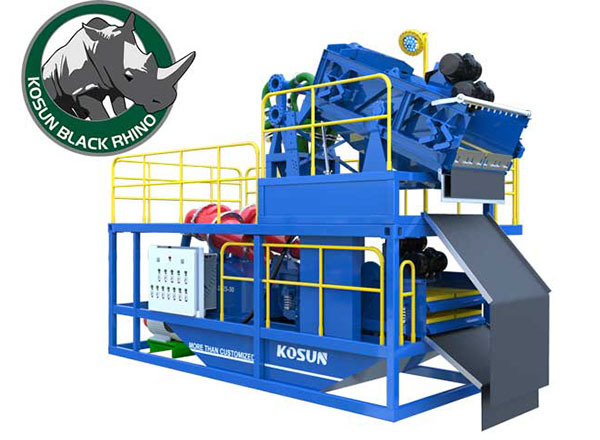 Slurry wall separation unit (or diaphragm wall separation unit) are being used in underground wall construction (off course, the Slurry wall separation unit (or diaphragm wall separation unit) being placed above the ground), and the main function is to recycling the slurry (mud) and removing the solids from the slurry as well using in work. 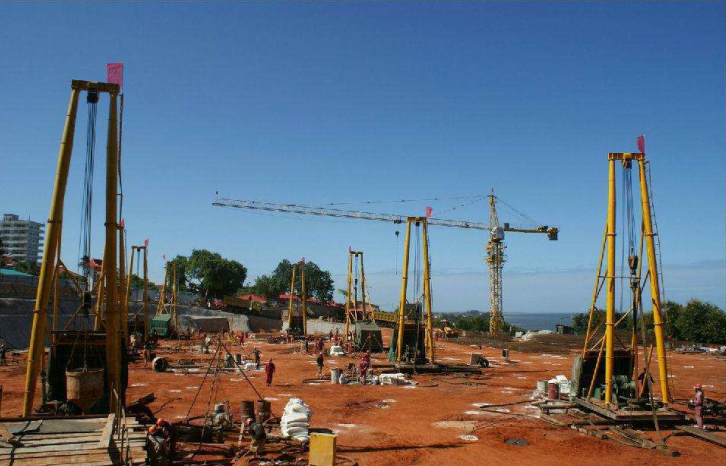 Hazards from oxygen in diaphragm wall separation unit of Slurry Separation plants. Oxygen is not a combustible gas but it helps flames to keep on going. 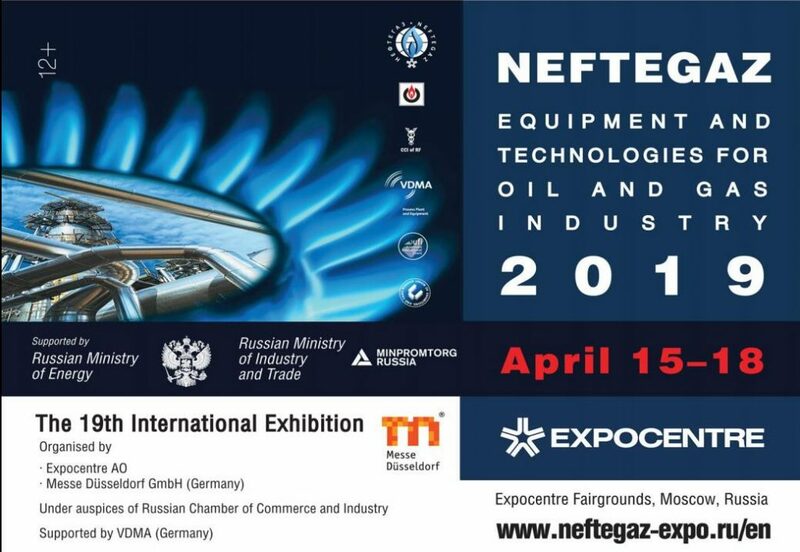 Also hydrocarbon materials of lubrication oils react vigorously with oxygen and it should be avoided in all cases. Oxygen concentration should be kept below 23.5%. 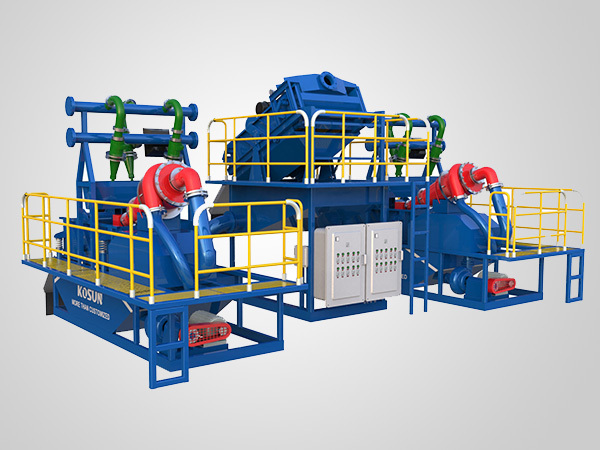 Gas products occur need slurry separation plants. Oxygen is most required for life support. When enough quantity of argon and nitrogen is present in environment it can lead to depletion of oxygen. Increase in hydrocarbon can also lead to symptoms like nausea or dizziness. In such cases one should come or brought out immediately. With time body returns to normal state once out of these conditions. Protected clothing helps in protection of body from fire hazards or oxygen or cryogenic liquids. – Leathers gloves should be used as their fitting is loose and can be easily removed in case of burns. – Face shield to cover the face should be used. – Footwear should be devoid of metals or nails as they can cause sparkling. 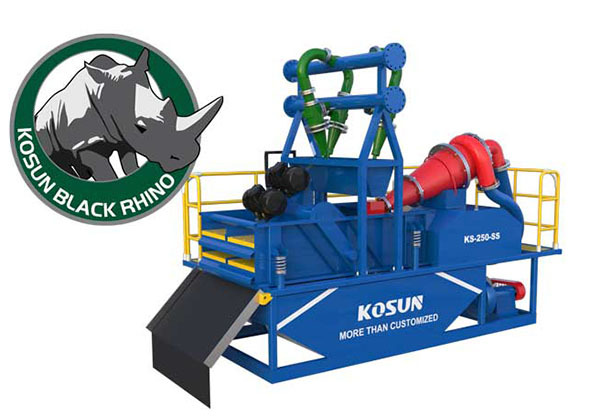 In slurry separation plants, like Kosun from China, the different parameters been collected in real spots and researched in labs, and finally give the corresponding solutions for remove the solids in constructions, like slurry wall separation or diaphragm wall separation. 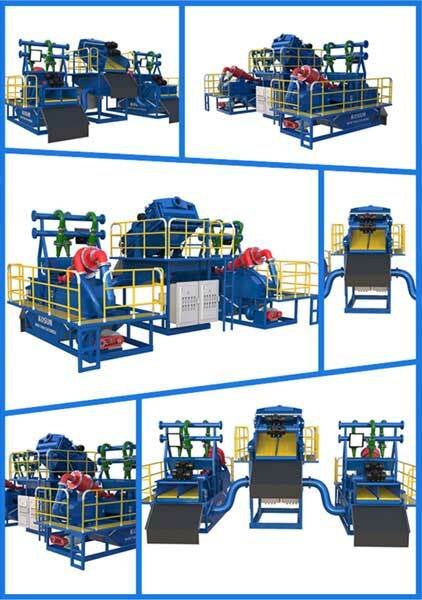 Slurry Separation Units in Slurry Treatment were mainly refer to mechanical system used during oilfield drilling work, just like TBM separation units – the slurry separation units(or Slurry Separation stations, Slurry Separation plants)are often been called mud separation units(or Mud Separation stations/mud Separation plants). 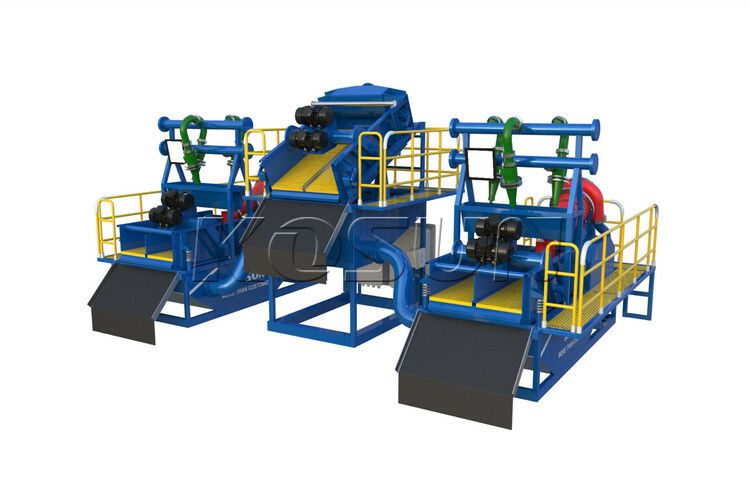 The main component of the system are consisting by shale shaker(or vertical dryer), centrifuge and mud cleaner in general. And these units are just helping the engineers in real projection solving the problem about mud clean and recycle of the slurry. 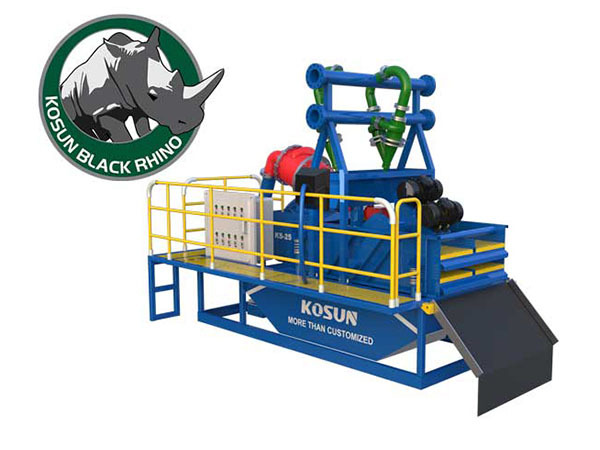 Although the main application area is in oilfield drilling, in the following industry or circumstances, the slurry separation units also take tribute in the work: Infrastructure construction, environmental protection industry. 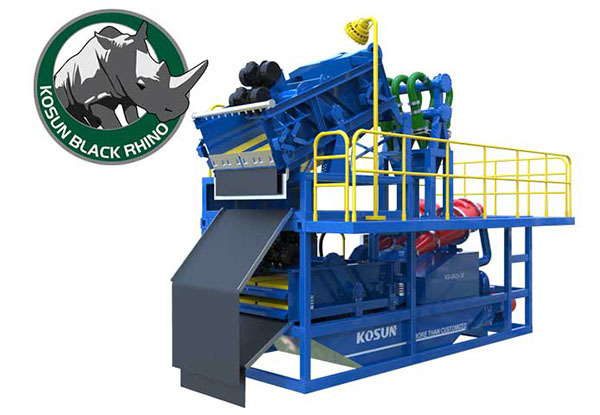 For example, in trenchless HDD projection, trenching mechanics need special mud in working for many functions like lubrication and keep tunnel wall “strong” enough for preventing collapse. 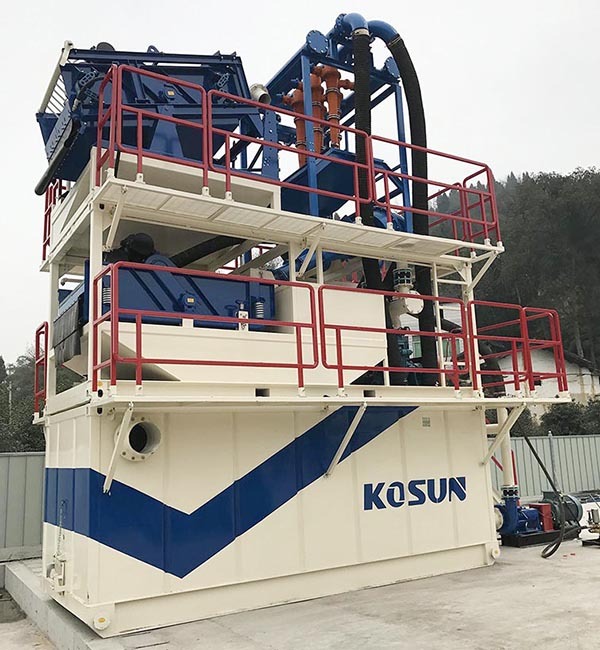 Or in pile foundation engineering work, these mud or slurry are very important in different functions, and all these mud need reuse or make it can be recycling again, then the slurry separation units by Kosun give the good solution. 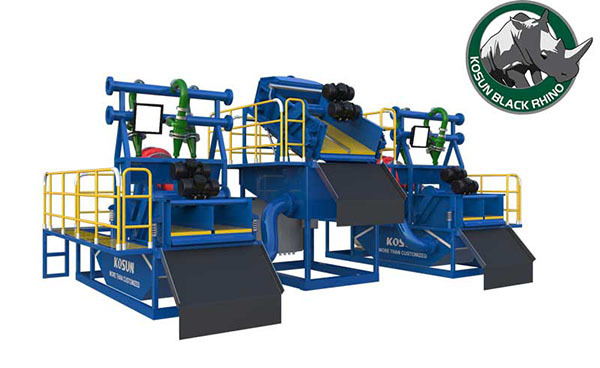 All the units are manufactured by Kosun’s own factory and serving clients well by 24 years experience. 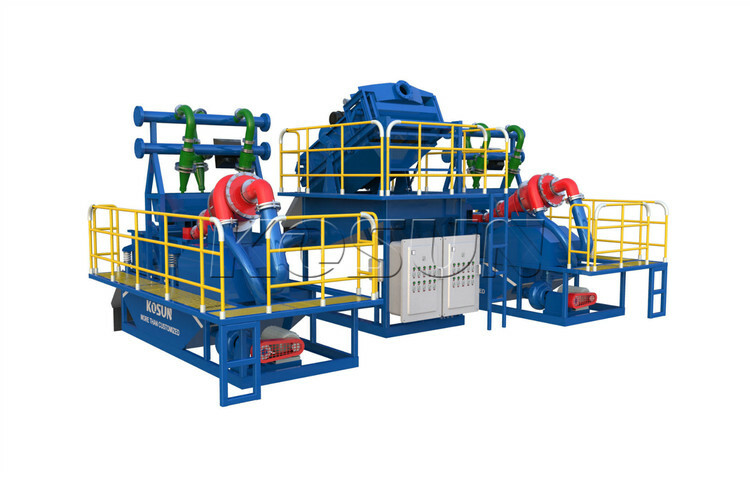 To separate the solid material from the slurry water, the slurry separation unit be deployed to the projection site. 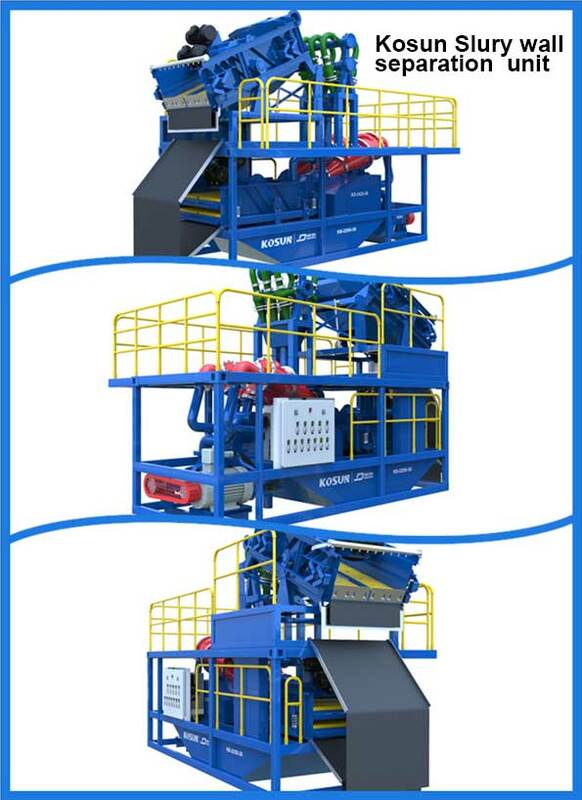 The unit uses a series of sieve screens and hyrdocyclones and will remove solids from the slurry water down to about 60 microns particle size, and this parameters are different from project to project and only the customized slurry treatment system by specialists can meet the real needs in construction site. 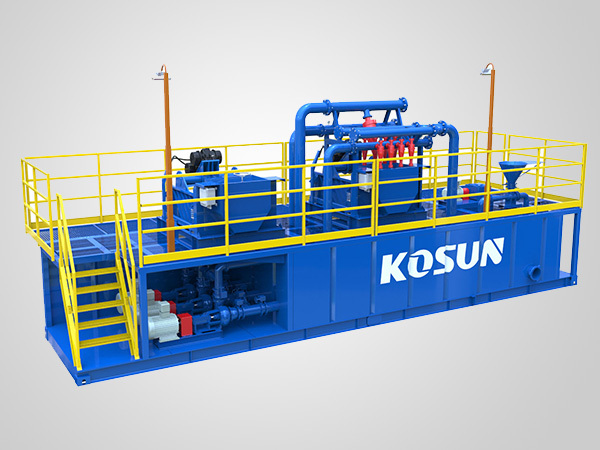 If you are interested or looking for the required slurry/mud separation units, just contact Kosun for the detailed solutions.